21 Aug – Course posted. VENUE : HOA & Blackbox Auditorium. There will be a theory exam on Tuesday 13 October 2015 from 5pm to 7pm. Venue to be re-confirmed. 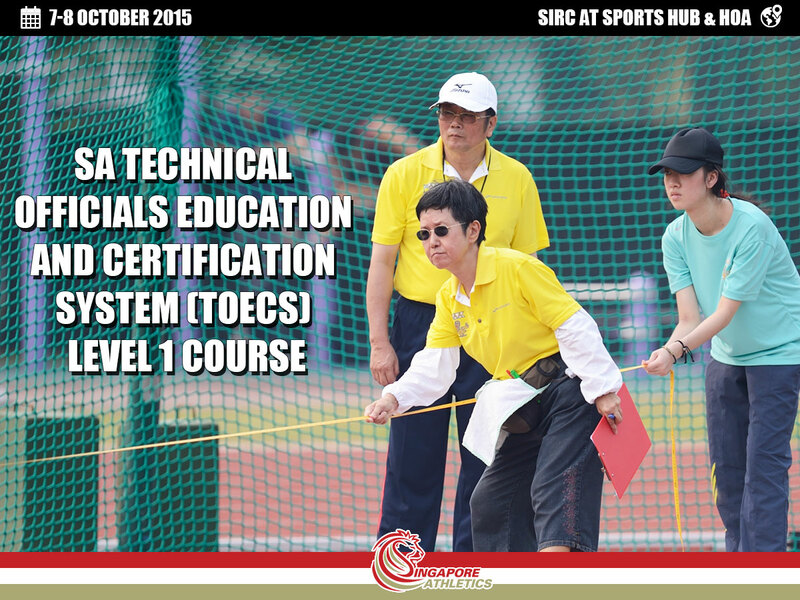 Upon completion of the 4 SA Meets candidates will be awarded the SA TOECS National Certificate. Certification in this course allows you to officiate in events sanctioned by SA or direct SA events, as well as offers you an advantage towards upgrading to more advance technical official courses. Take the circle line and stop at Stadium Mrt. Exit from Exit A and walk straight till you see the Singapore Sports Museum/Visitors Centre (black building) on your left. The auditorium is inside the visitor centre building.